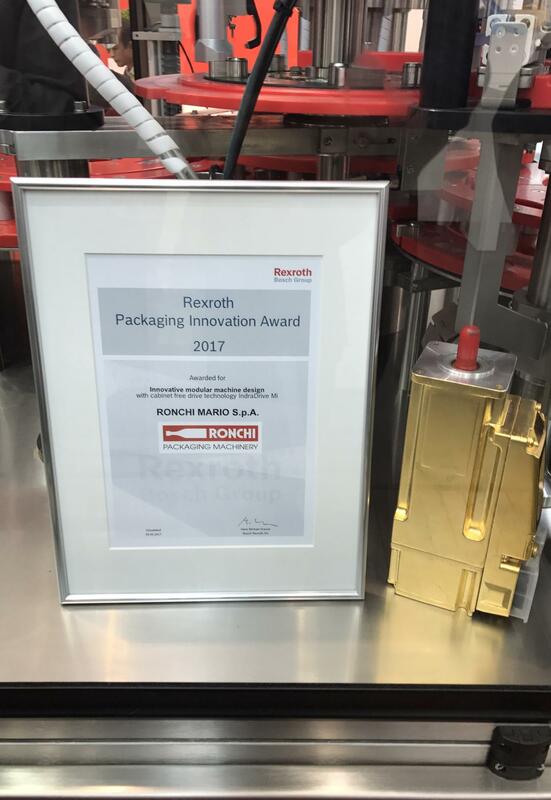 Rexroth awarded Ronchi, the pioneer of rotary filling machines with flow meters, with the Rexroth Packaging Innovation Award. Ronchi is again a pioneer in the development of electronic cams for capping machines and capping heads with brushless motors. The use of this technology enables packaging companies to use divers caps such as triggers, pumps, asymetric and normal caps without the need to make mechanical change overs. For more information on filling and capping machines, please contact Vincent De Boeck at Seamco.